I did something truly remarkable a few weeks ago. I have tried to write a post about it. Unfortunetly, I have been too busy to write the post that this event deserves. So, here I will tell the story the exact same way I have been telling my elementary students. 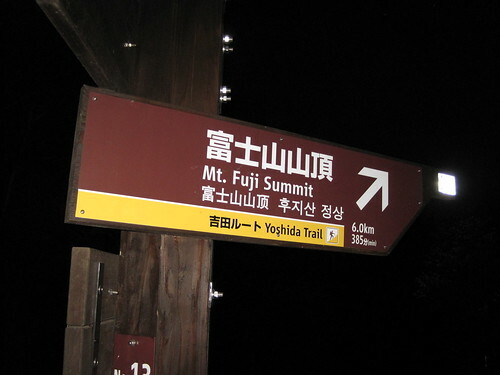 1) This summer I went to Mount Fuji. Setting forth into the night. 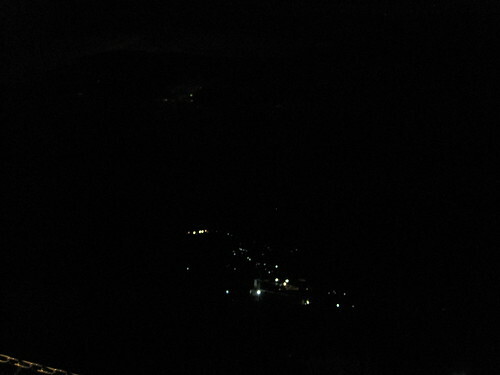 2) We climbed the mountain at night. 3) There were many people on the mountain. 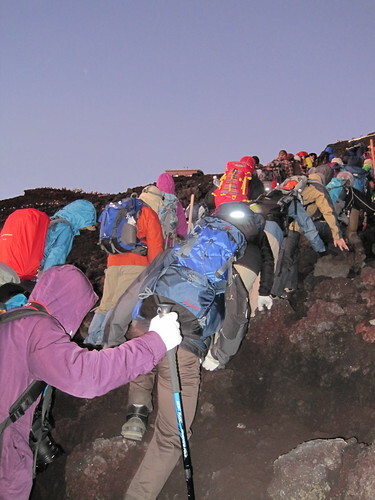 About 10 000 people climbed through the night to see the sunrise. 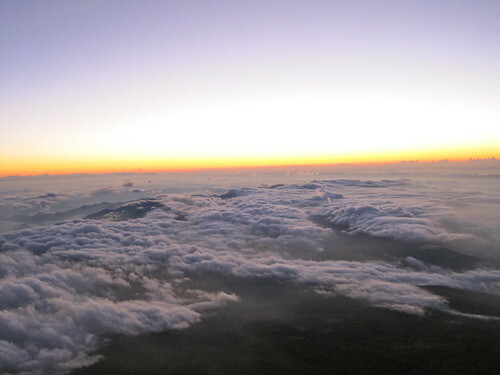 4) We saw the sun rise from top of the mountain. I wish that could find the time to write a proper post. I had a lot of intense feelings about the climb. I did not like climbing through the night, nor did I enjoy climbing with thousands of other people on the trail. However, I am glad that I did it and very proud of the accomplishment. 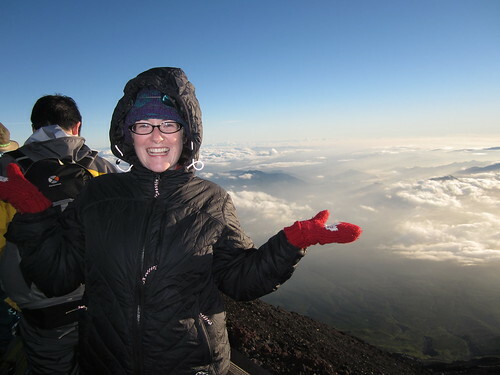 Someday, when I am old and grey, I will show people this picture and tell them about that time I hauled myself up a volcano in the middle of the night. I really enjoyed the pictures and I continue to be amazed by the things you do. I, who am grey, but only older, love the fact that you are doing these things now. Meagan you never cease to amaze me. You will be one person who will look back, when they are old and grey. and say I did it all! Good for you. I look forward to hearing about your next adventure.